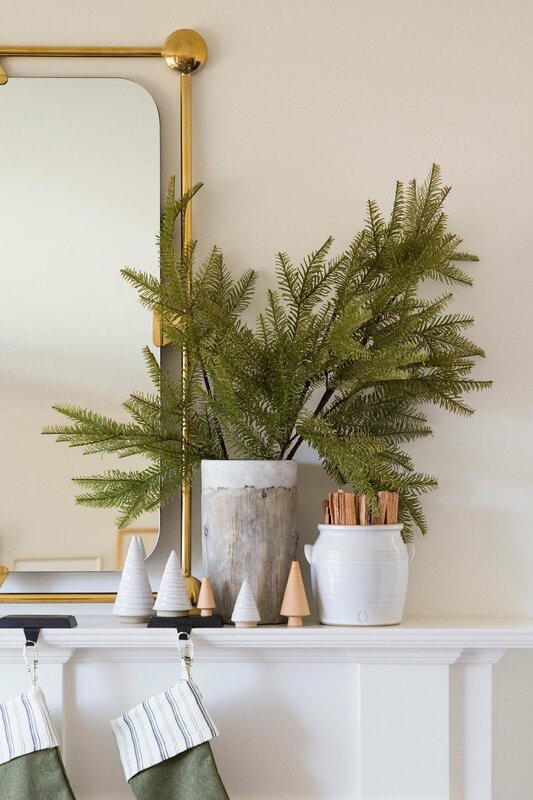 Last year we showed you how we apply our mantel styling tips to the holiday season, so this year we're getting specific and giving you our favorite tips for holiday decorating. We love incorporating our normal decor with our Christmas decor. 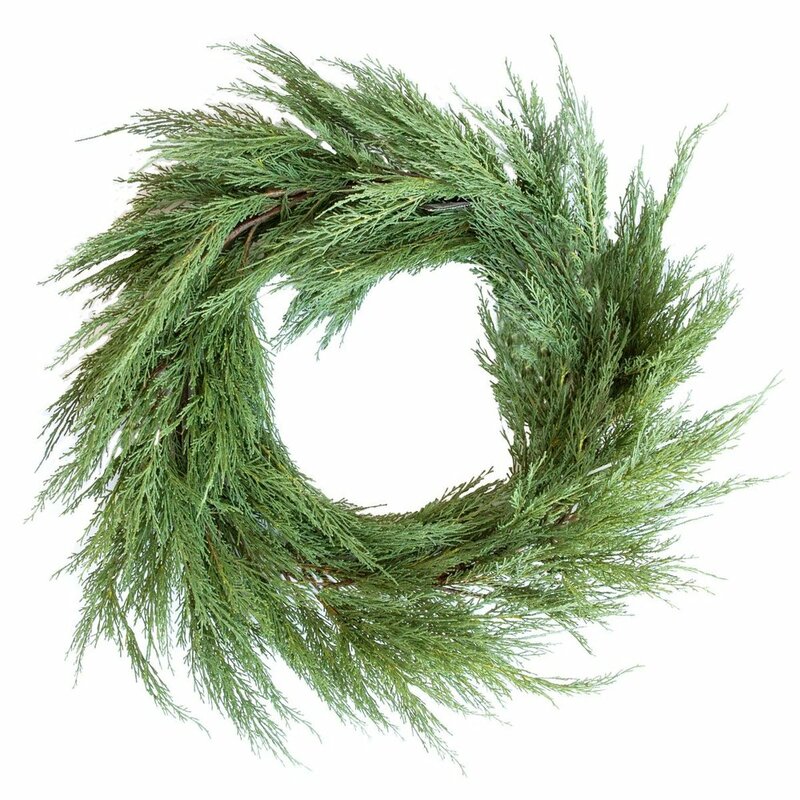 Adding a wreath to the mirror is a large focal point that instantly makes the mantel feel ready for the holidays. The brass detailing surrounding the mirror is simple, yet stunning. We love the dimension and drama it adds to a space! 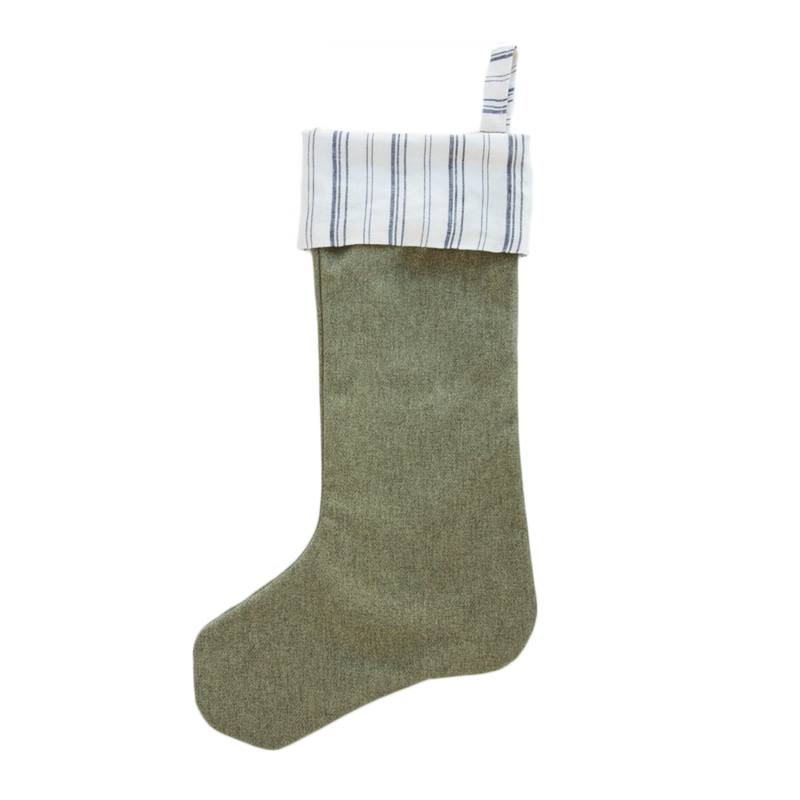 Fill in empty space and use greenery for height on the mantel. 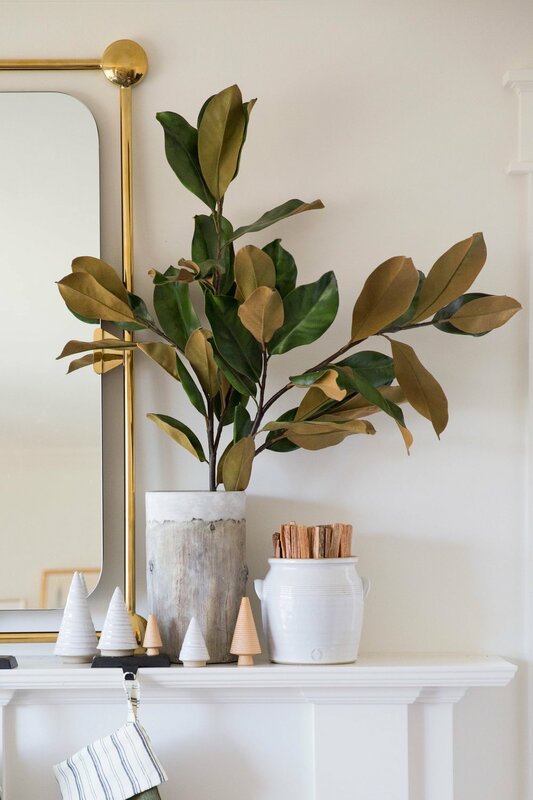 If you're using faux stems, make sure to bend them and place them at different heights in the vase for a natural look. 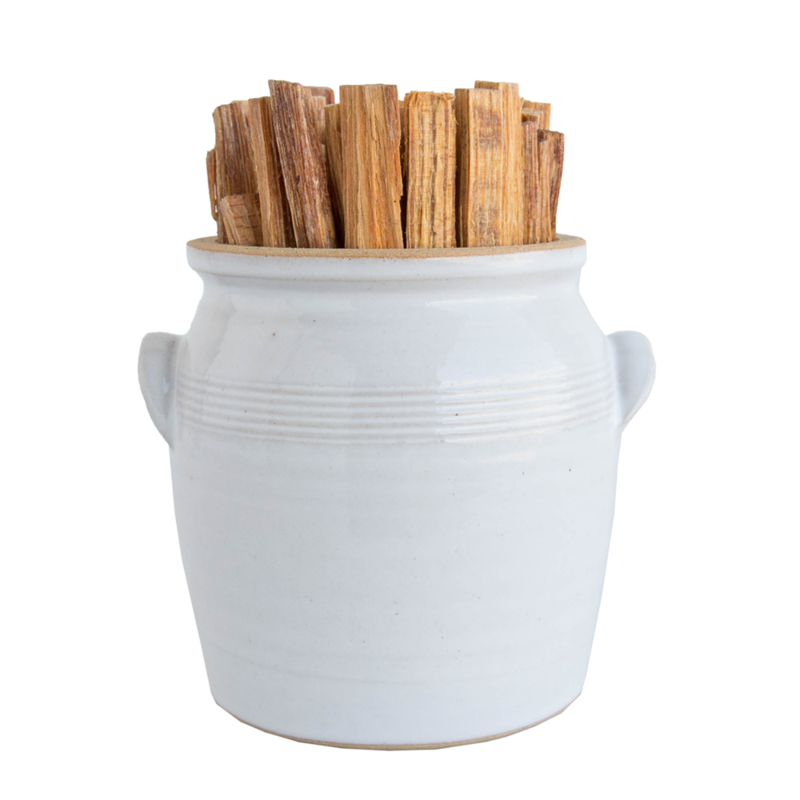 We love faux stems because you can keep them up throughout winter and some of them, throughout the year! We love the how the Antoinette mirror can be both streamlined and ornate at the same time. With a shiny gold finish and clean, modern lines, this mirror's beauty is in its simplicity. Create playful lower levels on your mantel by clustering cute ornaments or groups of small decor. Instead of distributing evenly, try placing them in groups to look balanced and giving your eye a room to breathe. By pairing contrasting textures, you'll add dimension to your mantel styling. You can tone down metallics with softer textures like wool. 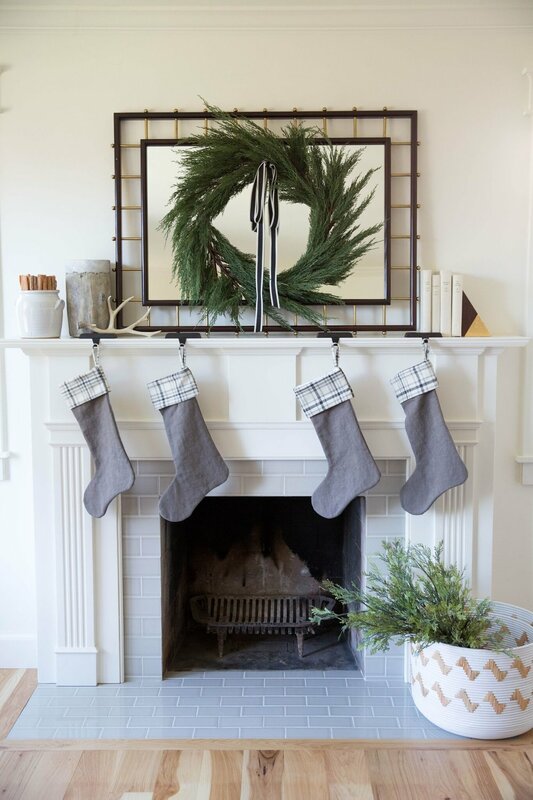 The garland on the mantel can be such a substantal focal point that the stockings can easily get lost. By adding dark ribbon and ornaments, we complemented the weight of the greenery and created balance.